Turkey is one of those unappreciated countries. There’s Istanbul, the gateway between Europe and Asia, which many people know, at least by photograph. But there’s so much more to this culturally rich country, so I thought I’d share with you 10 photo spots that will really change your mind about Turkey. It’s beautiful, great value for the wallet, and easy to get to. Consider it for your next trip. Hard to believe that isn’t ice, right? It’s hard as a rock – it’s stone! If you get up above them you’ll also see these blue pools, even more fooling you into thinking these are waterfalls! 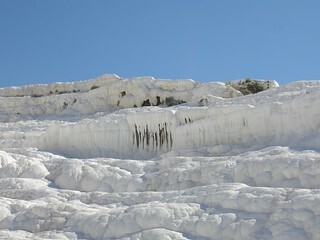 These gorgeous sights are near Pamukkale. Istanbul has many beautiful sights, but this palace was once the administrative centre for the Ottoman Empire. It’s very special and every little detail seems to have an intricate touch. 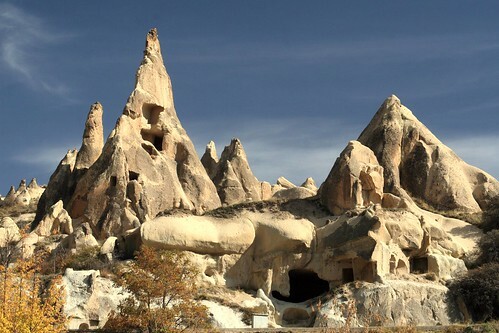 Another natural land formation, the hills of Cappadocia seem like from another planet. A hot air balloon ride here is a must, an iconic experience. 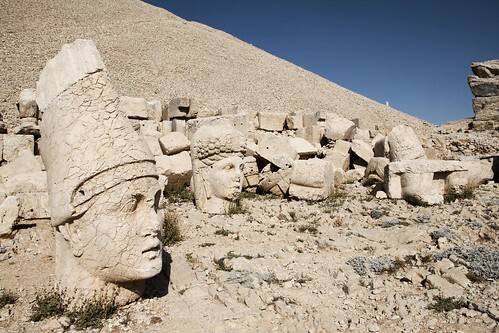 Turkey is one of the oldest countries in the world, and so some of its historic backdrops are also very ancient. What kind of books do you think this library would have housed? 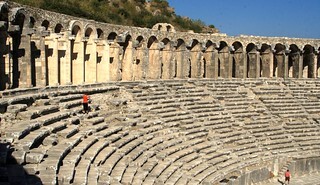 Speaking of relics and architecture, the old theatre at Aspendos is so well preserved, one might think a show is about to begin. 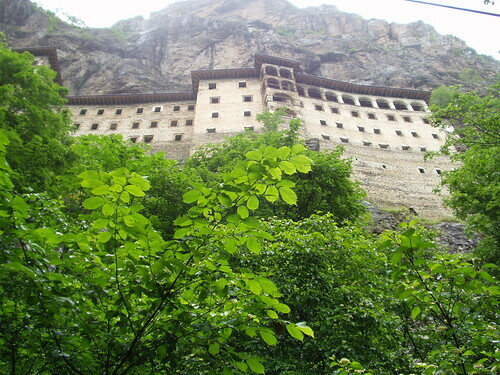 It’s a beautiful spot and a must for history lovers. This backdrop, particularly at sunset, will stay with you forever. They’re memorial monuments, and certainly well designed to make an impression. 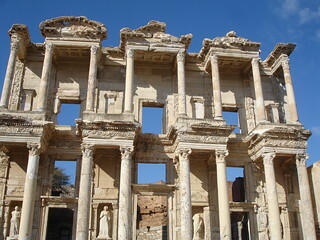 Hard to believe they managed to build such a unique construction, let alone that it has lasted the centuries. If you see a beach brochure for Turkey, it’s probably a photo of the blue lagoon, because it’s Turkey’s most picturesque spot. The sand is golden and the water always the perfect shade of turquoise. In the photo, the resort beach is along the bottom, and the lagoon is the pool at the top. 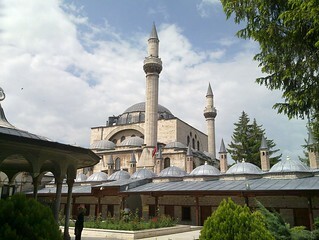 The city of Edirne is very similar to Istanbul in terms of sights and architecture, but it’s a bit more relaxed and less touristy, so it offers another perspective on the classic Turkish city. Last but not least is the city of Konya, known also for its unique style of architecture, but also it’s called the city of whirling dervishes. Maybe you’ll see one!